Blouse by ANNA AURA with long sleeves. 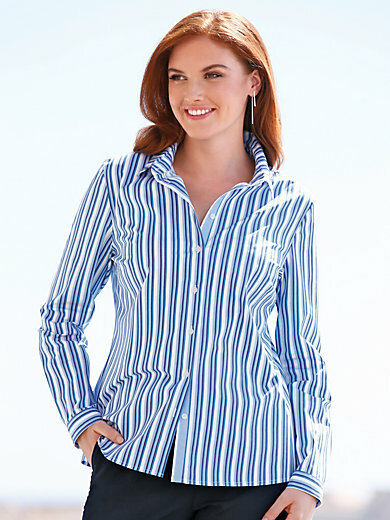 Sporty, casual blouse with vertical stripes in various shades of blue. With shirt collar and button front. 97% cotton, 3% elastane. Length in size 16 approx. 26ins. The blouse is machine washable.